Hip hip hooray! Congratulations on your wedding day. 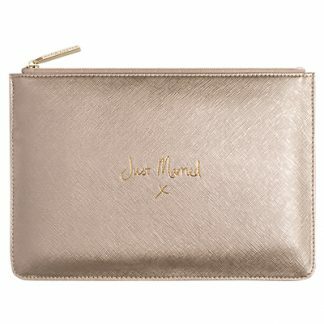 Celebrate one of life most memorable occasions with this metallic pouch. The perfect honeymoon accessory.